In only 4 days my family and I will be arriving in Orlando to set sail to the Bahamas on the Disney Dream! Sadly I've been more busy before this trip than I have been before any other Disney vacation, so my pre-trip report just hasn't been happening. I thought I'd procrastinate packing for a bit longer to show y'all how we've prepared for our trip this time around. Want to hear about our trip? Back in January 2009, I went on my first Disney vacation as an adult. 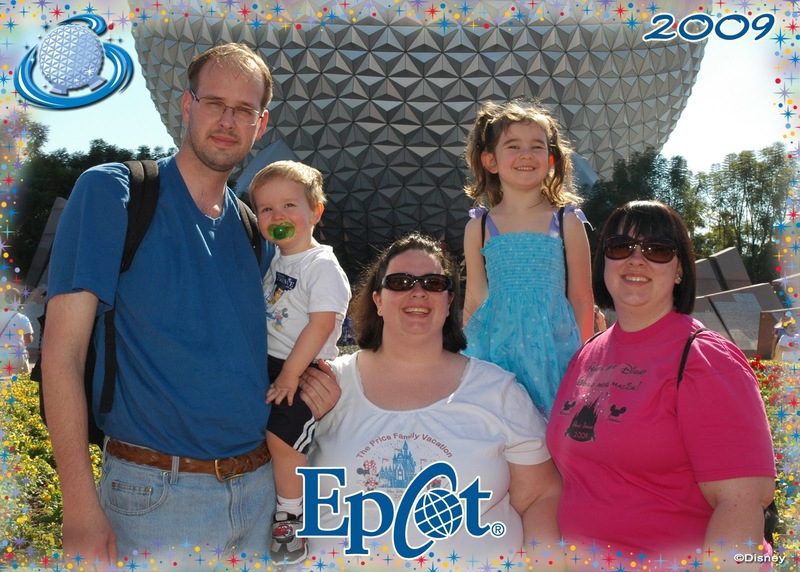 I went with my sister, brother-in-law, niece, and nephew. We stayed at Disney's All-Star Music Resort in connected rooms. Since that trip I have visited WDW in May 2009 and November 2010 with my family. I also went June and December 2011 with my friend Kyle. This year I'm excited to see the sights with my family again! This year we're changing it up and taking a Disney Cruise to the Bahamas! I haven't been on a cruise since high school, and that was definitely not Disney, so I can't wait to see what this cruise has to offer. My sister is letting me have full use of her DSLR camera, so I'm planning on taking a ton of photos to share with all of you when we return. Unlike all of my last trips, we're not staying on Disney property. My sister found a great deal at Wyndham Bonnet Creek, and we've heard wonderful things about it. While we'll have connecting rooms on the Disney Dream, at Bonnet Creek the kids and I will have a separate bedroom and bathroom AND we'll have a kitchen, laundry room, and dining area. I am going to miss the Disney Dining Plan, Disney Transportation, and the Disney charm you get staying on property, but this way we could stay longer without completely breaking the budget. Besides, new experiences can be fun! It will definitely be weird to drive ourselves to and from the parks! Don't worry, I plan to fully document this location when I get back, so you and your family can decide if it's a place you'd like to try. Because we'll be eating so much amazing food on the cruise, we've decided to opt out of sit down meals at Disney World. Not having to worry about making dining reservations before this trip has been nice, but I do wonder how I'll feel after eating counter service meals for most of our days. I like to change things up when I eat, so hopefully we'll try different places. That's going to be another part of the trip report when we return: food and eating while paying out of pocket. one. I always joke that I'm the Edna to the Incredible Family. now. If anyone knows where it is, please put it in the comments! the lack of full pre-trip report)! My sis & I splurged and got our nails done Disney-style! with how cute they are! buttons before we head to the parks! So we've been CRAZY busy trying to fit some magic in before our trip while keeping our lives going! I can't wait for the trip to begin and especially can't wait to share all of the magic with y'all! It's about time I had some new photos and writing material here. Hopefully we'll get to see New Fantasyland, and I'll be able to share that with you. Also on the docket is an in depth look at the details of interactive queues. Can't wait! Be sure to follow along on the journey with me by following me on Twitter (@goddessofmath)! I love the Incredibles t-shirts - so cute and such a great idea! Hope you have a great cruise! We've never been on a Disney cruise, but have been considering it, so I can't wait to hear what you think!